Sold by SL Trading Co. Comment: Minimal signs of wear to cover, pages, and spine. Inspected to ensure condition. 100% hassle-free condition guarantee. We offer top-notch service to our customers, if your item doesn't arrive as expected we'll do everything to make it right. Ships direct from Amazon! This superbly produced retrospective spans the artist’s work from early career to most recent pieces. Strong-Cuevas carves stone as well as models in wax sculpture that is then cast in bronze, stainless steel, and aluminum. 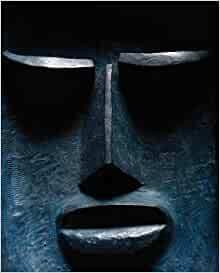 Many pieces involve the human head; their planes and shapes resonate back to Egyptian and Mayan cultures.